With this few ingredients the quality is important. You can cook your chickpeas from scratch (instructions included at the end of the recipe) or use canned, which is what we are doing here for our quick and easy version. Note that not all canned chickpeas are equal. The brands I have found that are the best tasting are Bush’s and S&W premium. 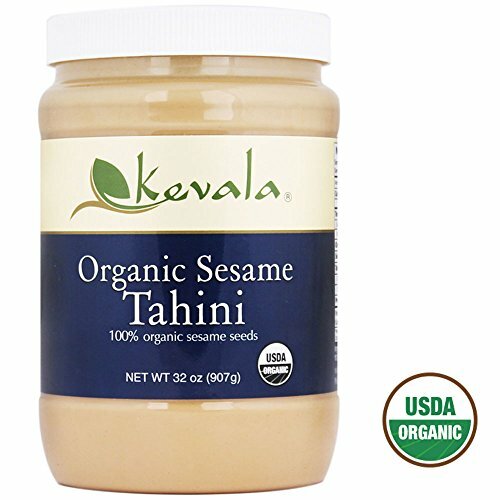 Process the tahini and olive oil first: when you buy tahini, often the solid part of it is compacted and separated from the oil. 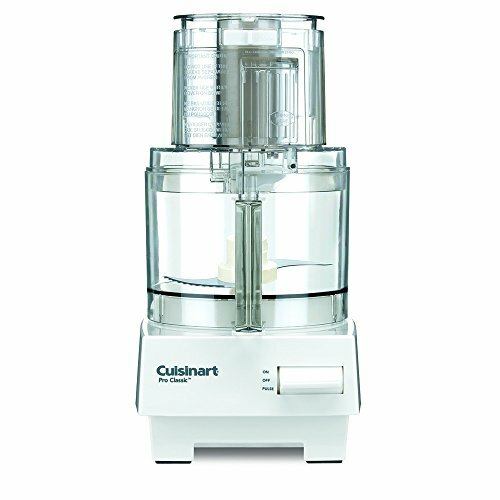 If you process it in the food processor first, you’ll be able to start with a creamier base. Peel membranes for extra creamy hummus: If you have extra time and you want to make hummus that is extra creamy, peel off the membranes of the cooked chickpeas before you purée them. The best way to do that is work with about 1/2 can of chickpeas at a time, drain them and rub them vigorously between two large paper towels. That will make it much easier to slip off the membranes. What to serve with hummus? Hummus is terrific with toasted pita bread. Just take some pita bread, cut it into wedges, brush with olive oil, sprinkle with salt, spread in a single layer on a baking sheet and toast in a 375°F oven for 10 minutes, turning them over half-way through, until crisp. Hummus is also wonderful as a dip for crackers or raw crispy vegetables such as celery, red bell pepper, carrots, and cucumber rounds. Prefer to cook your chickpeas rather than use canned? Just soak a cup of dry chickpeas overnight in at least a quart of water. Then drain, and cook with another quart of water and 2 teaspoons of salt, simmering until tender, about an hour or two or longer, depending on how fresh the chickpeas are. If you don’t want to soak overnight, you can do a quick soak by pouring boiling water over the dry chickpeas, letting them soak for one hour, then draining and cooking. Or you can cook them in a pressure cooker using these instructions: How to Cook Beans in a Pressure Cooker. No need to limit yourself to plain hummus! You can swap out the chickpeas with cooked beets for a vibrant beet hummus, or skip the tahini and add basil for a pesto inspired basil hummus. For a vibrant green spring hummus, swap out the beans for shelled peas, and add some mint for a fresh pea hummus. 1 In a food processor, combine the tahini and olive oil and pulse until smooth. Then add the garlic, garbanzo beans, lemon juice, 1/2 cup water and 1/2 teaspoon of salt. Process until smooth. Add more salt or lemon juice to taste. 2 Spoon into serving dish, swirl a little olive oil over the top and sprinkle with garnishes—a little paprika, toasted pine nuts, or chopped fresh parsley. Serve with crackers, raw dip vegetables such as carrots or celery, or with toasted pita bread. To toast pita bread, cut the pita bread into triangles, brush with olive oil and toast for 10 minutes in a 375°F oven, turning them over half-way through the cooking. Hello! All photos and content are copyright protected. Please do not use our photos without prior written permission. If you wish to republish this recipe, please rewrite the recipe in your own unique words and link back to Easy Homemade Hummus on Simply Recipes. Thank you! Absolutely amazingly easy and tasty!!! Thanks to let the reviews! I’m so glad you like it Judy! The best hummus recipe we’ve every tried. Made it in the Vitamix; so smooth and flavorful. Thank you!!! I used an immersion blender instead of a food processor. A real 5 star. My wife and picky daughter crush this every time I make it. I like to add a sprinkle or two of cayenne to kick it up a notch. delicious and so easy…. The taste is perfect and so fresh!! I just wish I could get it smoother. Thanks for making it truly EASY!! Absolutely yum!!! Added pine nuts to the mixture and it added a great depth. Thank you!!! I love this hummus recipe! I start with fresh cooked garbanzo beans and sometimes add a little extra garlic and lemon juice. I like that it is a healthy dip and I serve it with raw veggies, and also my cooked veggies like zucchini and broccoli, kinda like a sauce on top of them on the plate. Sometimes I just eat it right out of the frig as a snack to get me through to the next meal. Thank you for this recipe and all the creative recipes that each of your contributors offer on this website!! I enjoy the colorful photos and yummy appearance of the dishes . . .makes me hungry! Thank you Rebekkah! I’m so glad you are enjoying the recipes from our contributors! You simply cannot go wrong with one of Elise Bauer’s recipes. To make really light and creamy hummus, warm the chickpeas before blending and whip the tahini with the same quantity of water before adding. The tahini mix will seize at first but it will become light and airy as you gradually add the water. A little tip from my Yia Yia. A little too much olive oil…I cut the amount in half & it tastes fine. I left out the garlic too…these days everything has way too much garlic for my tastes! I wanted to know if there is a substitute for the sesame paste. I’m allergic to sesame. Hi Catherine, not that I know of. But you can make a variation of hummus without tahini. Try our Basil Hummus! I have been told you can use nut butter in place of tahini. I’m trying it now. Delicious and so easy! I made a lot for one person though, how long does it stay fresh in the refrigerator? Hi Julianna, oh I would say 3 to 4 days easily. Did I miss the part where the garlic comes in? Do I mix it in or is it a topping? Hi Amanda, how did I miss that? Thank you for pointing out the omission. Fixed now. I made the hummus with canned, rinsed chickpeas. I topped it with a bit of fresh olive tapenade, fried garlic and toasted sesame seeds. Delicious but makes a lot for my husband and I. Can it be frozen? Hi, Deanne! Emma here, managing editor for Simply Recipes. Yes, This should be fine frozen! Try to minimize any air in the container and use within three months. Thaw in the fridge. Enjoy! I’ve made two batches of this hummus as the family loves it so. I love it because it’s a nice healthy snack to keep in the refrigerator I even used my instant pot to cook dried garbanzo beans. Another great recipe to keep in the rotation… and looking forward to sharing this at family potlucks. Thanks Elise! So glad you like it Lynne! Hi Mary, roasted garlic works great in dips like this, doesn’t it? I love the mellower flavor. Hi Jes, you might try swapping out the lemon juice with apple cider vinegar. I made this hummus recipe today, although I did leave out the tahini, it was delicious. This is my first time making it and was a little nervous, but it turned out great. Thank you for sharing your recipe.